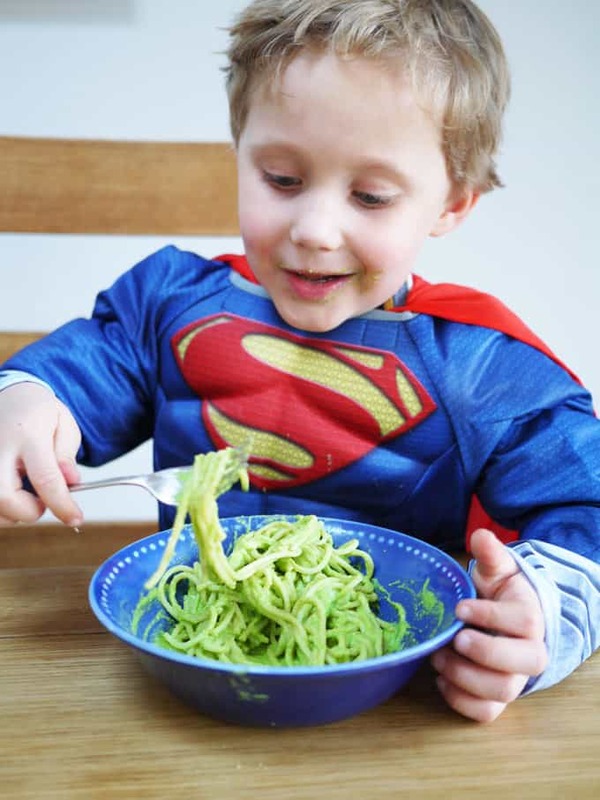 Just to be clear, I cannot actually *guarantee* that eating this bright green hidden vegetable pasta sauce will turn you into a superhero. But, the colour reminds us of the hulk and it means that my children eat a bowl full of veggies so I’m not going to argue with that thank you very much. That’s a superpower in itself, right?! You might remember, we’ve been working with Organix as part of their #NoJunkJourney campaign to try and think a bit more carefully about what we eat. One of the things I’m trying to focus on is including more of the good stuff, rather than trying to just cut out all sugary things instantly. Hopefully this is a more positive message for kids and by the time they are full of nutritious fruit and veg, there’s not much room left for processed food. That’s my plan! 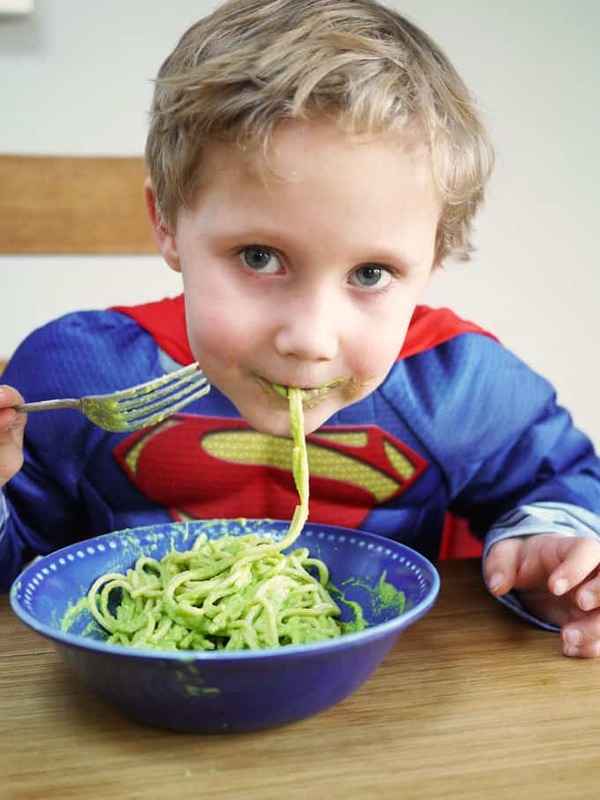 Organix kindly sent us a fantastic Riverford Organic veg box to try out and I used it to create this tasty and oh so simple spaghetti for kids. 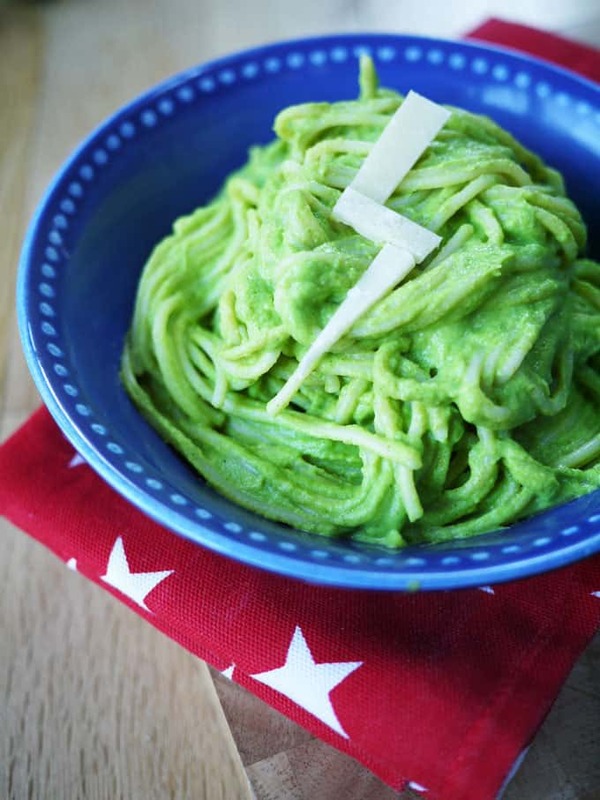 This pasta sauce is a great way of sneaking more vegetables into the diet of your family. For me, making food fun is a definite winner to getting everyone to eat well. Can you spot the little hands helping in this video too? I really believe that when kids help to get involved in creating their meals, they will tend to try many more things than they perhaps would have. Get them involved in the cooking. Fill them up with good stuff before they have a chance to think too much about treats. Eat the rainbow, choose a whole variety of the colourful, seasonal product out there to keep things interesting. Take them shopping with you, let them pick and choose the fruit and veg that they like the look of. Visit a farm shop where they can see the produce growing, or even pick their own. That’s one of our favourite summer activities. And remember, you can always hide the vegetables like in this hidden vegetable pasta sauce! It can be frozen in ice cube trays for future. This will make about 6 – 8 kids portions depending on their age and appetite. You can replace water with milk for a richer sauce. Serve it straight away (or freeze straight away) as it will start to split if left to stand. 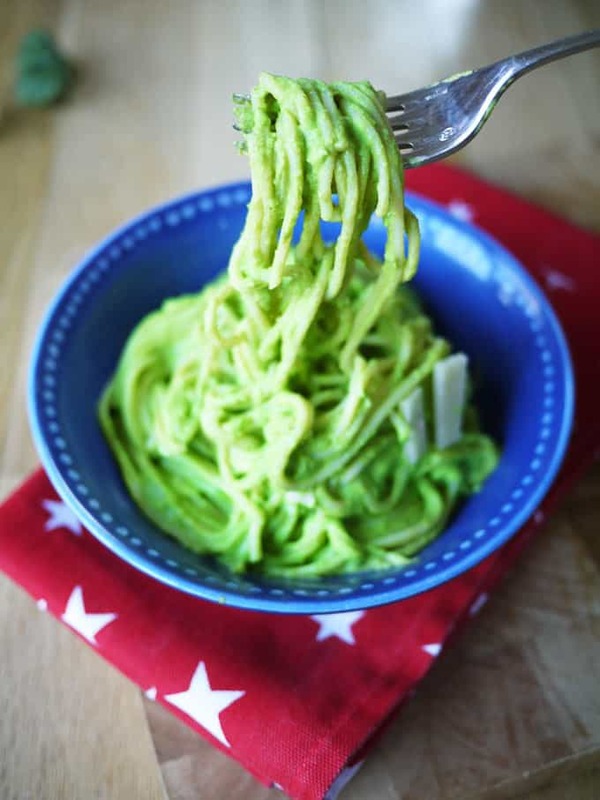 You can use a stick blender or food processor depending on what you have, I use my amazing Froothie blender which gives the smoothest sauce ever (I can’t recommend them highly enough!). Steam or boil the cauliflower and broccoli until just cooked. Add all of the ingredients to a blender and process until very smooth (you may need to add more water to achieve a sauce consistency). Serve immediately over cooked spaghetti. I hope this Hidden Vegetable Pasta Sauce recipe is useful in your own #NoJunkJourney. You can find some brilliant recipe ideas for healthy family eating over on the Organix site: Organix Recipes. How do you encourage your family to make healthy food choices? Any useful tips or tricks that work for you? Where do you sneak veg in when they are least expecting it?! Disclosure: This is a post sponsored by Organix although all opinions are my own and it’s a cause I feel strongly about. Eat the rainbow – I take it that includes rainbow cake?! 😀 The pasta sauce looks SUPER delish and love the lightening bolt on top! Kids often do not like vegetable, so this pasta sauce is a good way to sneak vegetables in the food for them. How a great idea is! Thanks Sarah for sharing. Great trick to add good stuff to the meal. Will definitely make this tonight. Thank you! Great idea for getting kids eating their veggies! Loved this video when I saw it on Facebook Sarah. I’ve just watched it again and it put a big smile on my face. You’ve given some great tips too. Very yummy and easy to make. 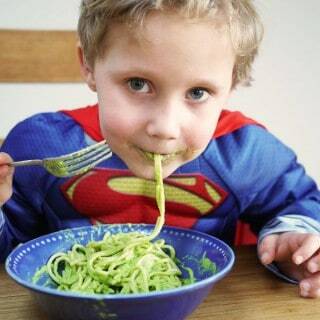 My little Hulk loves this super dish!